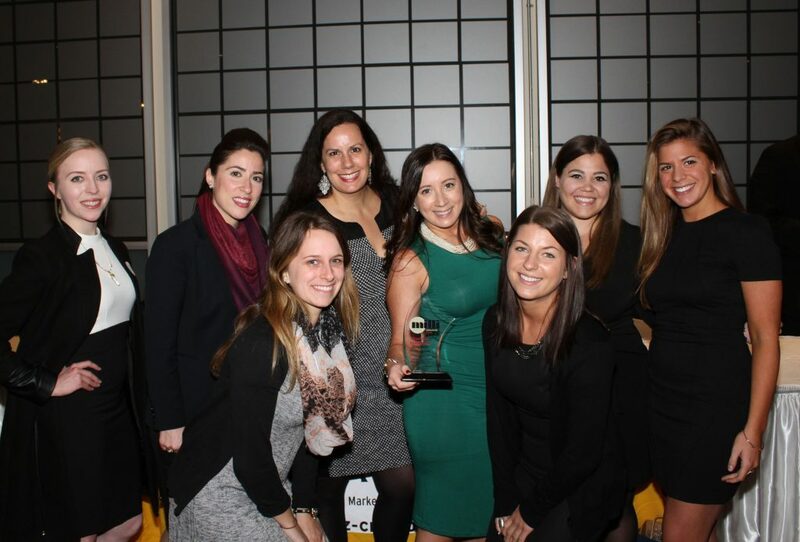 We wanted to share the great news that Daniella DiMartino, Account Supervisor at Buzz Creators, Inc. (located in Valhalla, NY), was recently named a 2016 “Milli” winner by Westfair Communications. This is the 2nd annual year of the Westfair Communications “Milli” awards. The award honors exceptional millennials (ages 21-34) living or working in Fairfield or Westchester counties who are changing the world in the following categories: community; “millipreneur” (entrepreneur); nonprofit; innovation; creative; finance; technology; medical; and green. DiMartino, a resident of Highland, NY, joined Buzz Creators, Inc., a public relations and marketing firm, in 2013. Prior to working at Buzz Creators, Ms. DiMartino was an Account Coordinator at Lisa Lori Communications in Greenwich, CT. Ms. DiMartino has also held a variety of editorial and production roles at leading local/regional news outlets, including Westchester Magazine, The Poughkeepsie Journal, Socially Superlative, WRNN Radio and Fios1 News. She received her Bachelor of Arts degree in Journalism from Purchase, State University of New York. Ms. DiMartino has helped make a huge impact on the business at Buzz Creators, Inc. She is an ace with new business development – helping to bring in a wide range of new clients over the years such as Barnes & Noble, Pentegra Retirement Services, Castle Hotel & Spa, FEA Home, CareMount Medical (formerly Mount Kisco Medical Group), New York Medical College, Level 3 Communications, Westchester Community Foundation, The MaxLove Project, The Royal Regency Hotel, Forme Urgent Care and Wellness Center, Atlantic Westchester and many more. Prospective clients love her professionalism, big ideas and passion for what she does. Learn more about Daniella here.